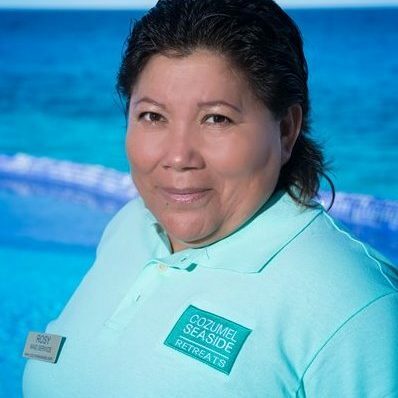 Cozumel Seaside Retreats was founded by Isabella Telloli. 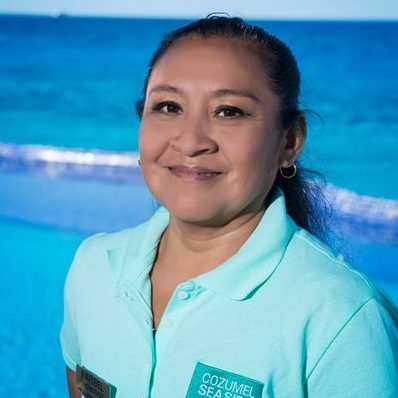 Cozumel Seaside Retreats was founded by Isabella Telloli and it is currently managed by Isabella and her husband Matias Garrido with the wonderful help of their staff. Isabella and Matias have selected the finest Cozumel vacation rental properties for you to have a rejuvenating and relaxing vacation. Isabella was born and raised in Italy and has been traveling and scuba diving around the world for 10 years. 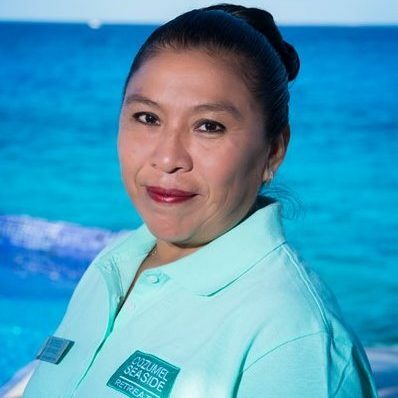 As an avid diver, she came to dive Cozumel’s world famous reefs. She fell in love with the island and never left. 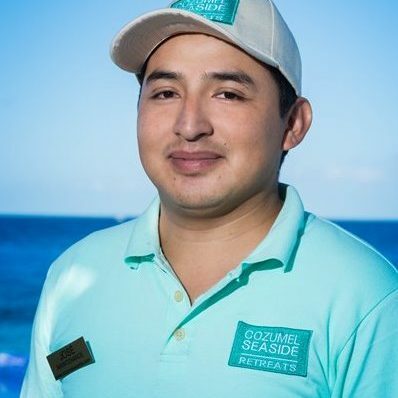 Matias originally from Buenos Aires, Argentina came to Cozumel Island 20 years ago as sales director in the Cruise ship business; Matias is an avid cyclist, runner, and outdoor sports enthusiast and focuses on maintaining balanced mind/spirit practices. An important aspect of Matias and Isabella’s life mission is giving back to their community and world; together they run “Give Back to Cozumel” a nonprofit-humanitarian organization founded to benefit the unprivileged families of the Cozumel’s community. “Of all the places we have been living around the world; we believe that the cozy island of Cozumel, has the perfect balance of, pristine reefs and a safe environment in a beautiful tropical paradise. We find this combination of things very unique in the world and we feel blessed to raise our kids in this paradise. Cozumeleños are warm and friendly people who make you feel at home; for this reason we often refer to cozumel as “the island of kindness”. Every day we discover new reasons that make us love Cozumel a bit more and we would like to share our passion and enthusiasm with you. She is Maribel sister, she work hard, fast and she is very pleasant. She enjoys exercising and she walks to work every day. He works really hard but always manages to keep smiling. Loyal, hardworking and trustworthy, she has been part of our team since the beginning. She is always in a good mood and she has this smile that lights up the whole room as soon as she walking in. All material on this website is copyrighted and cannot be reproduced without written authorization from Cozumel Seaside Retreats Inc. Copyright 2017-2027. All rights reserved.